These are the frequencies recommended for Halitosis. 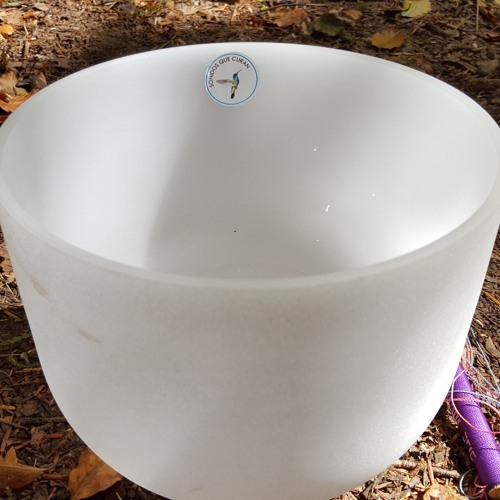 The sounds are crystal bowls tuned with water to these frequencies, each one about five minutes. If possible listen to them in a relaxed environment, although you do not need to be meditating. As well they can serve as background music/sounds during your day. It is very good to have them playing on repeat while you sleep. It is suggested to listen to them for at least one moon. Sound quality depends on your speakers. Lower volume is suggested. For sleeping use very low volume. The essence of the frequencies is there. Suggestions about using these recorded frequencies The use of these frequencies can be compared to the use of medicine in that some of them might be more agreeable to the ears than others, just as some conventional medicines are easier to swallow than others. Keep this in mind when listening to them, listen to them all, be patient…. Use them in a conscious manner. Relax as much as you can when playing them, even though you can carry on with your daily duties and pleasures if you want to, if need be, since your Divine Intelligence within knows what to do when you receive them. Be open and receptive in Mind and Heart when playing the frequencies. Do not be concerned if there are outside noises, or even if there are some sounds on my recordings. Just let the vibrations in and trust that they are beneficial for you. Accumulative Process Some things must be “convinced” to change after having been in one position/condition for a long time. Like a plastic tube that has been in a certain position, such as a bend, so long that it stays in this position even when removed from its location because of its “memory” of this position. Yet if the tube is placed in hot water and is allowed to relax and become flexible again, it can be re-shaped into another position that it will maintain when removed from the hot water. Something similar happens with our body if it has endured some condition for a long time, thus forming a “memory” of this condition. This explains why sometimes after a beneficial treatment for a condition that gives us some relief for a while, the body soon returns to the memory of this condition. To change this memory, let us get the body to relax and become flexible enough to create a permanent beneficial change…listen to these frequencies enough times to change such a body memory. The crystal bowls generate a very relaxing environment. This has something to do with the resonance between the silica in our bones and the vibrating silica of the bowls. If the body is relaxed it is more receptive. So if you allow your body and your mind to become relaxed while you are listening to and receiving the beneficial vibrations of these frequencies, better is the possibility that this same silica can re-program the body into a healthier condition. I have observed that if a person uses the beneficial frequencies on a newly created position or condition, they are more likely to have a more immediate effect because the body has not formed such a deep “memory” of this condition. On the hand, if you are dealing with a deeper “memory” or chronic condition, it is logical to consider that more time working with the frequencies will be required. The certain period of time may be longer. And the better the environment to receive them will logically increase their effectiveness.